Each year football fans and the general public look forward to one phenomenon nearly as much as the big game itself and this year looks to be no exception. We’re talking about the big Super Bowl advertisements of course! Auto manufacturers like Ford, snack foods like Doritos, beers such as Budweiser and Coors, and many other top companies look to their Super Bowl ads to propel sales upward and boost brand awareness to levels early in the year each season. This year advertisers are expected to spend in the ballpark of $4M – $5 Million on their ad time, a record high in the history of Super Bowl advertising. In past years these companies have spent closer to $3.5 Million on average per 30 seconds of display time during the Big Game in order to get their message out to the public in an attempt to capture the prestige and status, and of course revenue, that comes with attaching their brand to the NFL’s biggest game of the year. Super Bowl commercials have been an attraction for many years now, and with the explosion of internet video sites like YouTube these advertisers not only spend this money to be seen during the game itself, but also in an attempt to go viral for the days and weeks to follow for some free play on news magazine shows and entertainment programs. In some cases, such as Budweiser’s “Wassup?” ad spot in 2000, they even creep into the lexicon of Americans and fans from around the world. Among the expected brands to stake their claim during the Super Bowl this year are mainstays Pepsi, Coca-Cola, and the beer brands of Anheuser-Busch. Auto makers are expected to continue their tradition of longer commercials with a message including Chrysler and Chevy. This is also a big time for movie studios to begin pushing the upcoming summer’s blockbuster films with trailers, teasers, and special features. When it comes down to it the main attraction is always, as it should be, the Super Bowl game itself. But don’t discount the brilliance of advertisers’ ability to keep your eyes glued to the television during the breaks, because when these global brands make an investment this large into time during the biggest sports event of the year you can be sure that you probably won’t want to miss a second of their spots either. 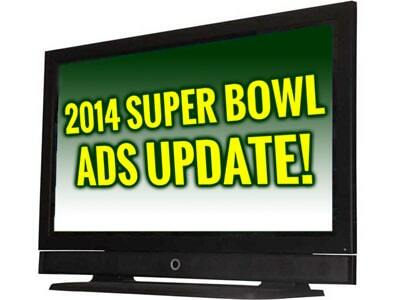 One of the cool topics is, how many ad buyers will initiate some social media interaction during the game? Social media has become an amazing way to track branding using several unique programs that notify companies when a product or their company name is mentioned. Can’t wait to see this year’s upcoming Super Bowl Commercials. Don’t forget, attending the live in person is also an option this year because of its driving distance from the large population in the North East corridor.